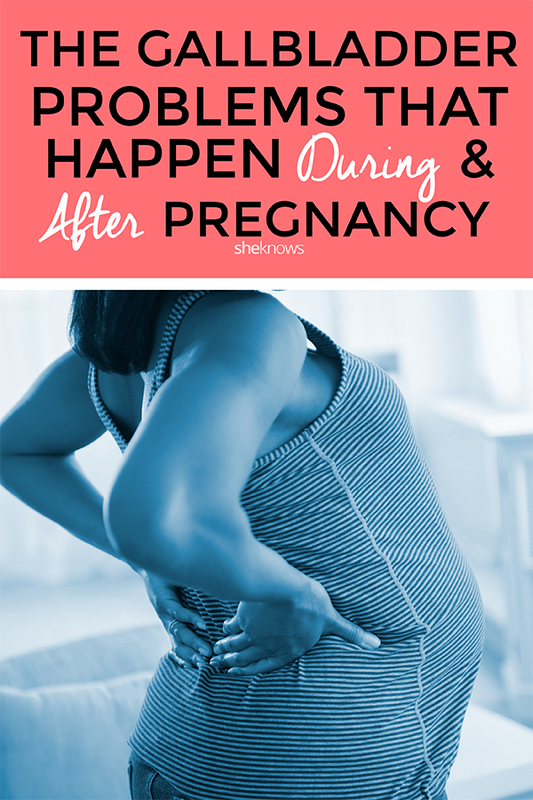 There’s never a good time to have gallbladder problems, but having them during pregnancy when you’re already uncomfortable is a double blow. Bile, a substance made by the liver, is stored in the gallbladder. It helps our bodies to digest fats in the small intestines. But if it sits in the gallbladder too long, it takes on a sludge or solid form — the solid bile is also known as a gallstone. This is more common during pregnancy, when the gallbladder is more sluggish at emptying bile, giving it more time to form sludge or stones. Problems occur when the stones block bile from flowing through the organ. Gallstones are more common during pregnancy because of the increased level of estrogen in the body, noted Dr. Amos Grünebaum, an OB-GYN and professor at Weill Cornell Medicine in New York City. Cholesterol can also contribute to a pregnant woman’s risk of gallstone development. A 2006 American Association for the Study of Liver Diseases study reports that women with high levels of good cholesterol were less likely to experience gallstones. Grünebaum said that excess weight gain during pregnancy can increase cholesterol amounts in our bile, which can cause gallstones. “When you’re pregnant, your estrogen levels are higher than ever, and estrogen is partly responsible for the increased concentration of cholesterol in the gallbladder,” Grünebaum said. How do you know if you’re at risk for gallbladder issues during pregnancy? A 2006 study on about 6,200 women who had a gallbladder disease diagnoses upon being discharged from the hospital after delivery between 1987 and 2001 found that 76 percent of women were diagnosed with having gallstones (uncomplicated cholelithiasis), 16 percent had pancreatitis, 9 percent had acute gallbladder inflammation (cholecystitis) and 8 percent experienced a bile duct infection (cholangitis). Those researchers determined that risk factors for hospitalization were age, maternal race, being overweight or obese before pregnancy and weight gain during pregnancy. Having higher insulin resistance could be what links having gallstones and high BMI, a 2008 study by the University of Washington found. Overall, being hospitalized for a gallstone-related disease is common during the first year after pregnancy. Women are twice as likely as men to develop gallstones. A 2003 study on more than 1,300 women found that about 8 percent experienced gallstones. Gallstone risk goes up the more times you are pregnant too. 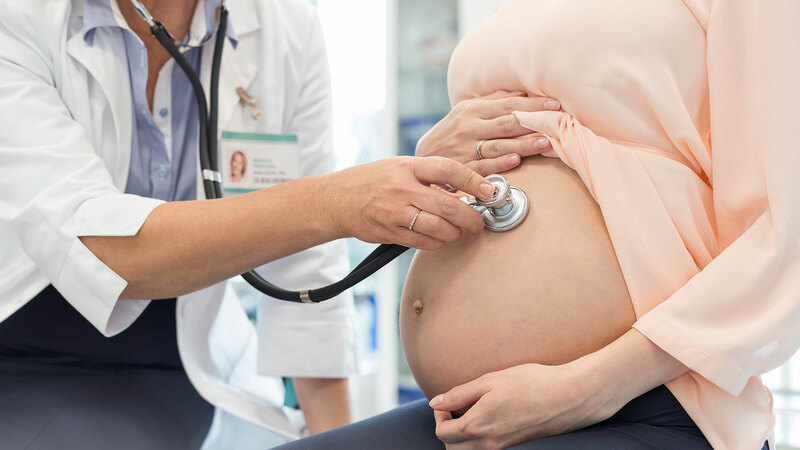 According to Dr. Amy Stump, a surgeon at University of Maryland Baltimore Washington Medical Center, chemical- and muscular-function changes can last up to five years after delivery, which raises a woman’s chance of developing gallstones during that time. If not treated, gallstones can cause gallbladder infections and ruptures. Alone, gallstones can produce some pretty unpleasant symptoms as well. Gallbladder attack symptoms include ongoing abdominal pain, vomiting or nausea. Back pain between shoulder blades and pain in the upper right area of the abdomen are also symptoms, the Mayo Clinic reports. Think you’re having a gallbladder problem? The doctor will usually conduct an ultrasound to diagnose it. Treatments can vary. Gallbladders that cause issues during pregnancy are usually removed through minimally invasive laparoscopic surgery upon delivery, though it can be performed during any trimester in most cases, a 2014 study in American Family Physician reports.